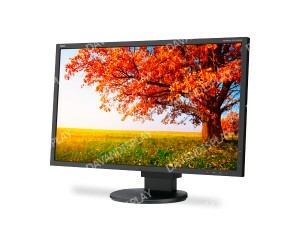 22" LED-backlit Eco-Friendly Widescreen Desktop Monitor w/ IPS Panel. 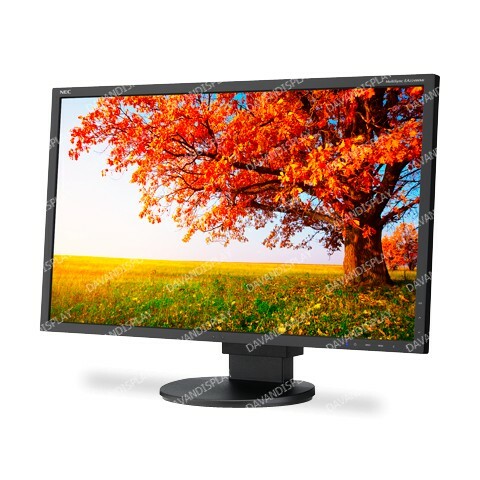 NEC’s 22” MultiSync EA224WMi uses a premium-grade IPS panel, which provides wide viewing angles, outstanding color consistency and image accuracy. Its LED backlighting technology allows a thinner, lighter and sleeker design, as well as higher power efficiency. This EPEAT Gold model includes DisplayPort, HDMI, DVI-D and VGA D-Sub inputs, as well as an integrated 4-port USB 2.0 hub (two rear, two side) to connects you to the latest peripherals. Touch-sensitive controls enable simple display adjustments through the EA224WMi’s On Screen Display (OSD), while integrated smart sensing technology includes ambient light and human sensors to automatically determine the proper display brightness and detect the absence of the user, both of which reduce power consumption and prolong product life. The unique ControlSync™ feature offers an ideal solution for multi-screen setups of up to six MultiSync EA Series monitors.